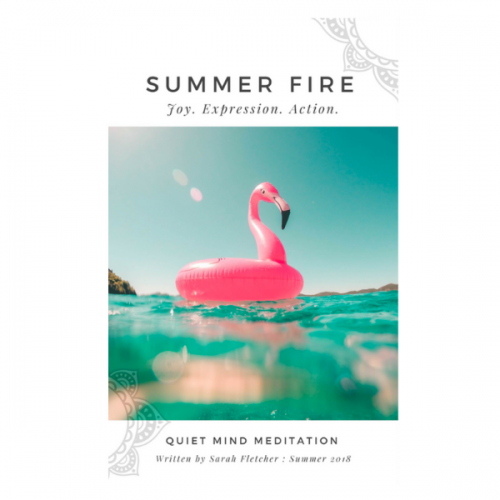 Are you on our FREE Monday Meditation Musings email list? 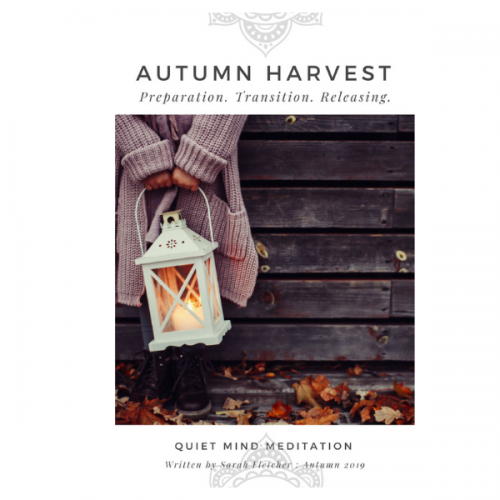 This FREE weekly email is designed to provide an inspirational and meditative kick-start to your week .. a little meditative nourishment! You can sign up for Monday Meditation Musings here. Today, I wanted to share this mornings Musing which is in response to question I often hear .. When we take our seat for meditation, it is beneficial to spend the first few minutes simply settling the body into the most comfortable position we can – so we can go the distance. There are a number of points on the body that we might check in with .. that our feet are flat on the floor, that our thighs are released into the chair and not held or tense, that our back is straight but not rigid, that our jaw is loose and hanging. I call this the grace period .. time to bring our body and mind to rest in the present moment. From a physiological viewpoint we seek to rest our hands in such a way that we are encouraging the shoulders and neck to relax, this aids extension of the spine which affects our breathing and allows the free flow of air into and out of the body. Arms that are held too high (usually caused by armchairs) will keep our shoulders unnaturally high which causes tension and imbalance. If our hands are not anchored to the body, we often find our mind is equally un-anchored and tends to wander. 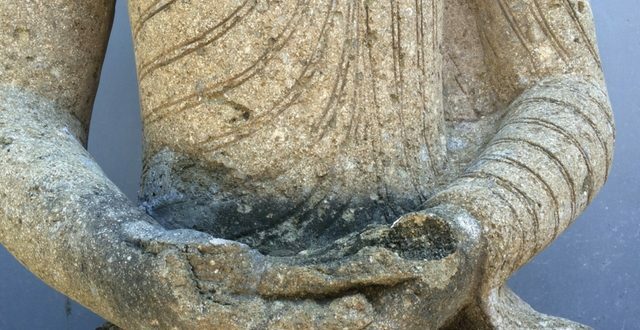 From many of the Eastern meditation traditions we are given the option of including mudra’s, or hand positions, into our meditation. 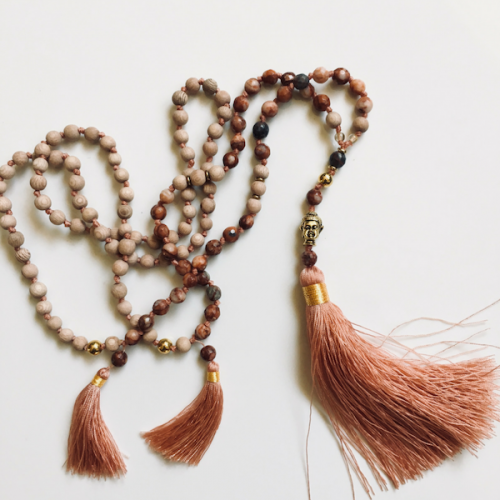 A Mudra (Sanskrit for ‘sealing’ or ‘closing’) is believed to activate energy circuits inside us, keeping our life force within the body rather than escaping through the tips of our fingers during meditation and yoga. By adopting certain meditative poses and sealing with our hands, we help to preserve and cultivate our qi or life force. There are hundreds of different mudras, each creating a different ‘energy circuit’ using hands, fingers and sometimes even the whole body. I was introduced to the Dhyana Mudra when I started meditating, and have used it now for over twenty years. It is part of what I do in meditation .. just like brushing my teeth! I find it has a powerful and lasting effect not just on my meditation, but when I place my hands in that posture outside of meditation (like at the dentist or on the train) I am instantly connected to that same peacefulness and calmness I have cultivated in my practice. Like taking off our shoes at the front door on arriving home .. a simple act that holds a deeply rooted psychological trigger with ‘leaving the outside world outside’ and causing a subtle shift of focus inward. In the same way, when we incorporate a mudra into our meditation we build an association with that particular hand posture to the feelings, impressions or sensations found in our meditation .. then we can call upon those same feelings in daily life simply by resting our hands again in that same posture. The mudra becomes a conditioned response (think Pavlov’s dog). Once ingrained we just need to pop our hands back into that posture to bring back those feelings again. This is a quick and reliable way of shifting our mood from tense to calm. And the more you do this .. the more ingrained the association. The Dhyana mudra is a classic and popular mudra found in the Zen Buddhist tradition .. said to ‘bring your attention inward and useful for increasing self-awareness’. Symbolic of an empty bowl and the purpose of yoga/meditation – to empty oneself of inner chatter. In traditional Chinese Medicine the thumbs are said to represent the earth element, and when thumbs connect we are connecting to the intellect, and this energy influences our clarity. Try incorporating this hand posture into your meditation and let it build over time. Place your hands in the dhyana mudra when you are on the tram to work, sitting at the beach, or enjoying some music at home. Any time you find yourself in a place of peacefulness, and are free of distractions, place your hands into the posture. Pay attention to how this feels for you. In time you can practice your mudra anywhere and reconnect with those same feelings of peacefulness and calmness .. even on the most chaotic and busy days.